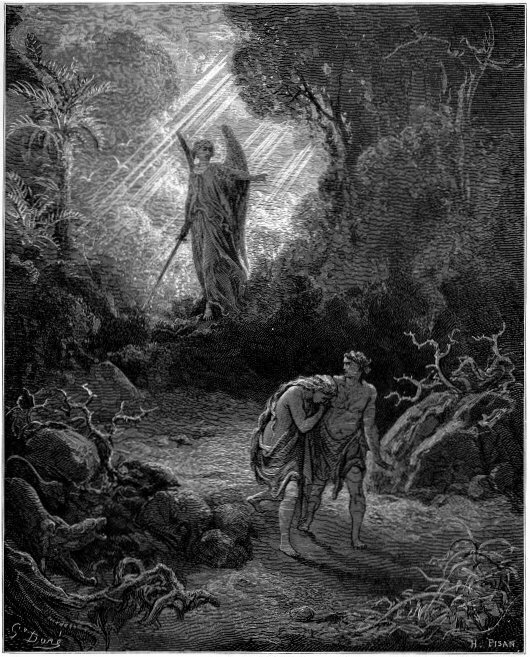 Abraham planted a tamarisk tree in Beersheba, and there he called upon the name of the LORD, the Eternal God. 34 And Abraham stayed in the land of the Philistines for a long time. Another tree that you do not hear much about is the tamarisk tree. 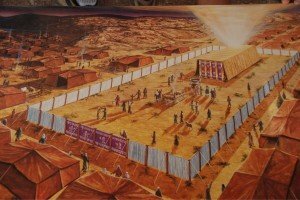 It is mentioned in the Bible only a few times; 1 Samuel 22:6, 31:13, and in Genesis, in the story of God promising the Promised Land to Abraham. Abraham said, “I believe you God”, and planted a tamarisk tree in Beersheba. Why did he plant a tamarisk and not some other tree? Let’s look at the significance. The tamarisk tree is what we would call a salt cedar in America. It is of the same family and has the same leaf and color of bark. The tree itself can get much bigger in the Middle East, while ours are more bushy looking. We saw several that were real big trees. It is an extremely slow-growing tree and has to be cared for in order to do well. Very few grow in wilderness settings; they are usually around communities where families plant them on their property. Am I living outside of the will of God? Or the reverse of this is – am I where I am supposed to be in the matter – am I doing what God wants in this situation? Am I right? Do I have any unconfessed sin? Am I contributing to the problems? Or is it something completely out of my control? Is God simply working His completion in me? Is this just the path that God is asking me to walk? Far too often our difficulties originate from one of these three realms instead of a Satanic attack. Beth Moore said that people often ask her, because of her prominent role as a spokeswoman for God, if she is under continuous attack from Satan. She responds to them,” my own flesh is twice the enemy to me that Satan is”! She goes on to say, we know how to rebuke Satan because we hate him so, but on the other hand, we won’t rebuke our own flesh, because we love it so much. We have far more difficulty rebuking our own flesh and squelching our own desires. Take a difficulty you are dealing with and test it according to these three questions. Are you under attack from Satan or are you under attack from your own fleshly desires? Wasn’t this what Paul was talking about in Romans 7:14 – 25 – when he says” what I want to do, I don’t do, and what I don’t want to do, I do. When I want to do good, evil is right there with me, fighting against me.” Like the Israelites, our greatest battles are within ourselves, warring with our minds, our thoughts, and are fleshly desires. Clearly, the mind is the largest battlefield in our struggles with the flesh. How do we keep from losing the battle and being subject to defeat? First and foremost, we must camp and stay close to our commander. The promise found in Deuteronomy 23:14 is awesome and something I hadn’t seen before. If we choose to camp and walk closely with Him, He will protect us and deliver our enemies to us. But our camp, our lives, minds, families (fill in the blank) must be holy and he must not see anything indecent among us or he will turn away. It is a necessary challenge of this life that we must take – to have a holy, godly separated life. We can’t delve into sin and expect God to protect us. Secondly, we have a promise from II Corinthians 10:3 – 5. Though we live in the flesh, the weapons we fight the flesh with are not carnal, not the weapons that worldly people have to use, no self-help for us! Our weapons are spiritual, and can pull down strongholds, if we will take every thought captive to make it obedient to Christ. God will protect and deliver us if we get our camp cleaned up and holy. We can avoid a lot of our problems just by surrendering our minds to Christ and walking closely with him and by living a separated ,holy life. My thoughts to myself for the day – a lot to work on. Two weeks ago, I wrote an article on the broom tree and talked about how it fit into several Bible stories. Being in the tree business, I naturally wanted to carry this theme as far as I could. Another tree that has some wonderful Biblical metaphors attached to it is the Acacia. This is the tree described in Psalm 1 and Jeremiah 17. The Acacia is a pretty prominent landmark in the desert. They are by far the biggest tree or plant that grows in the desert. Slow-growing and long-lived, it is said that God planted them knowing that we would need shade. 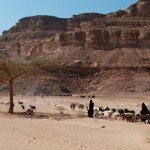 The Acacia is the Bedouin’s best friend because it does so much for him. Besides providing the best shade in the desert, it also is the best and really only firewood. The camels love to eat its leaves, and also eat its pods that grow seasonally. The Bedouins boil the pods for the camels to eat. 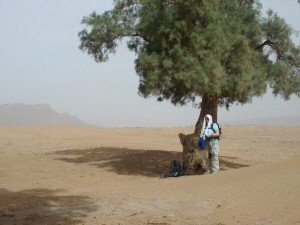 Also, they boil the sap and it is used for both camels and people as a medicine for stomach trouble and cuts and scrapes. 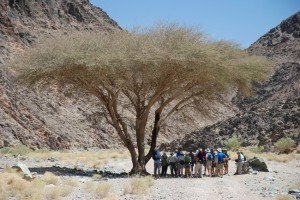 The Acacia is also used by the Bedouin to locate a water source, because where there is a good Acacia growing there must be some underground source of water. This is also the tree that the Ark of the Covenant was made of. As you can imagine, the metaphors are huge. This Psalm 1 tree is a picture of someone deeply rooted in something that provides all sorts of things for people; food, shelter, shade, water, medicine. How do we become that tree? Psalm 1 has the answer, we must be in the word and meditate (“Hagah”, remember? wrestle, growl,chew) on it day and night. You can’t skip the hard work that called you to be an Acacia, and it takes some time to grow. The words are literally to always be in our mouth — we are chewing on them. When you are a good Acacia tree you are literally your community’s best friend, you do all kinds of things that bless others. You dig in and do the hard work, and then when the time comes you help out. An interesting phenomenon with an Acacia is that almost never do you see any water around the tree, yet you know it is getting water, because of its leaves and fruit. You know there is water there because of the tree. If God is living water and we are the tree, they will know we are getting living water by the fruit we produce. It’s how much water that we get that determines how well we do in the desert. Obviously, we need more Acacia trees. Are you willing to do the work to become one?